As an orthopaedic oncologist, I specialize in treating both benign and malignant musculoskeletal tumors in adults and children. I have a particular interest in limb-sparing surgery and endoprosthetic reconstruction for treating bone sarcomas. The advanced reconstruction procedures I do in my oncology practice are similar in nature to revision joint arthroplasty. As an adjunct to my oncology practice I also perform primary total knee and total hip replacements and complex total joint revision surgery. In addition to my surgical practice, I have expertise in the medical management of metabolic bone disorders including osteoporosis/osteopenia, osteogenesis imperfecta, rickets, and avascular necrosis. Many patients with metabolic bone disorders will go on to need arthroplasty surgery at some point, and due to their bone quality often require special consideration and alternative reconstructive surgeries in order for them to re-gain maximal function with minimal complications. I find surgical oncology and joint revision surgery a challenging but invigorating field. Each operation is different, as no two patients or their reconstructive challenges are alike. I have the opportunity to treat patients of all ages and to operate on different areas of the anatomy. Most important, I am able to make a true difference in my patients' lives by helping them overcome their disease, while maintaining mobility and function. Cancer patients require a multidisciplinary approach to care. I treat each patient with compassion and understanding – and try my best to involve patients and their families in the decision-making process, as much as possible. Along with medicine, I believe strongly in yoga, meditation, and reiki as ways to complement our medical treatment of our patients. I obtained my Reiki Master Certification in 2016. 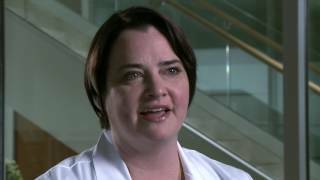 Dr. Emily E. Carmody is an Associate Professor of Orthopaedics. She specializes in treating both benign and malignant musculoskeletal tumors in adults and children. She has a particular interest in limb-sparing surgery and endoprosthetic reconstruction for treating bone sarcomas. In addition to her surgical practice Dr. Carmody also specializes in metabolic bone disorders including osteoporosis and osteopenia and total joint replacement surgery. 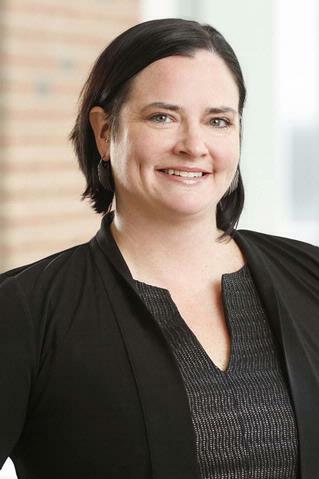 Dr. Carmody earned her medical degree from the University of Rochester School of Medicine and Dentistry. She completed her orthopaedic surgery residency at the University of Florida. Following her residency, she completed a fellowship in Orthopaedic Oncology at the University of Florida. Dr. Carmody most recently served as an attending physician at MedStar Washington Cancer Institute. Dr. Carmody is board-certified in Orthopaedic Surgery. She is a member of the American Academy of Orthopaedic Surgeons, the Musculoskeletal Tumor Society, Ruth Jackson Orthopaedic Society and the Connective Tissue Oncology Society. Dr. Carmody is involved in research in the fields of orthopaedic surgery and treatment for bone and soft tissue sarcoma. She publishes her research in many peer-reviewed journals and presents her research at meetings around the country. Dr. Carmody is heavily involved in resident education. She serves as the associate residency program director and is a recipient of the Duthie-Evarts Resident Teacher Award.